Return gifts are a custom in India where guests are gods. A token of our gratitude for them taking their time to join us for the party should be well thought out. This article gives you everything you need to consider before choosing gifts and also few gifts that are would be instant hits. The tradition of gifting return gifts at parties is a time-honoured one. Giving return gifts is a way of thanking your guests for taking the effort to come and ensuring that they leave with satisfied hearts. In India religion is a vital part of our lives. 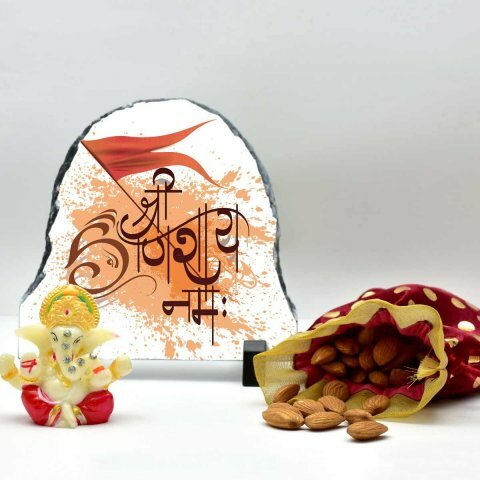 If your party or gathering is being attended by a lot of people especially people who are elderly, then a safe gift option would be something religious like an idol of a god or goddess, or artefacts with religious motifs and images. 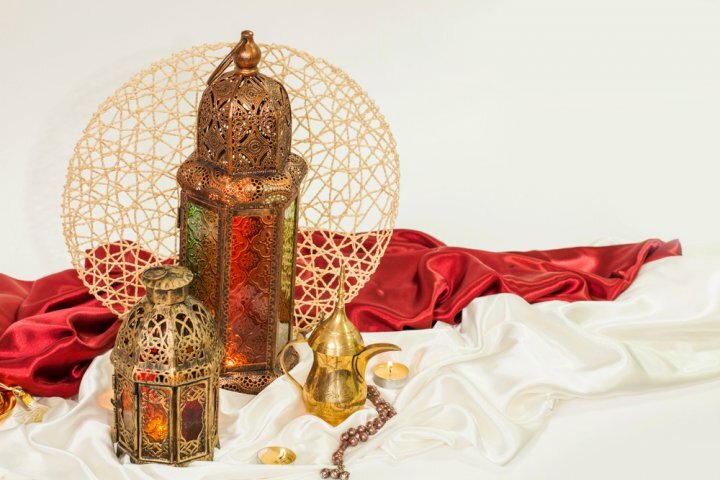 Religious gifts give people a feeling of hope and goodwill. A lot of people associate religion with luck and prosperity. Gifting people with objects related to religion is a sure shot way to get their approval. Handicrafts are also a popular return gift choice for a party consisting mostly of adults. India has 29 states and seven union territories. Almost every state in India has a cottage industry producing a unique style of handicrafts particular to that region. There are huge volumes of handicrafts being produced every day in India. Indian handicrafts are famous all over the world for their beauty and distinctiveness. 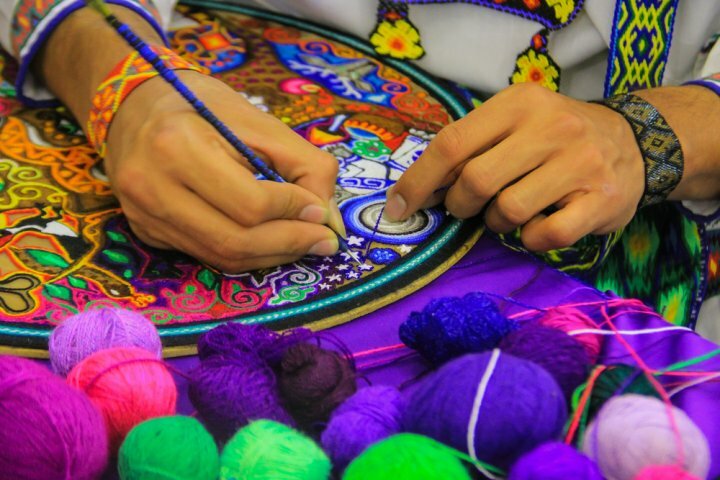 You can find a wide array of handicraft products on the market. There are handcrafted bags, home décor items, jewellery and a ton of other useful things. You can buy them from government emporiums, flea markets and also online. Shopping for handicrafts online will give you access to a variety of different styles of handicrafts from a large number of states. You can also find great bargains when you shop for handicrafts online. Whether kids or adults, edible treats are always welcome as return gifts. Traditionally, sweets are given out to guests during weddings or other festive functions. But today there are a lot more exciting options - chocolates, cupcakes, candies, cookies gourmet products - you can pick both that fits the occasion and your budget! Look around for local suppliers who can help you create the perfect return gift for your event. Another popular segment of return gifts is utility items that can be put in use in the kitchen or office. Guests will find it thoughtful that you have gifted something that will help them in their daily routine. If you think such gifts make sense for your event, then look around for small gadgets - it could be something as mundane as organisers, kitchen gadgets or as exotic as aromatherapy sets. Try to pick an interesting gift that will surprise them! Buying return gifts can be a daunting challenge. After all, it involves you identifying the right gift, ordering the right number and negotiating the right price. To make it simpler we have some tips and tricks you should keep in mind when you start on the task. A return gift should never be big and bulky. Lord Ganesha is supposed to be the bringer of wisdom, peace and prosperity. 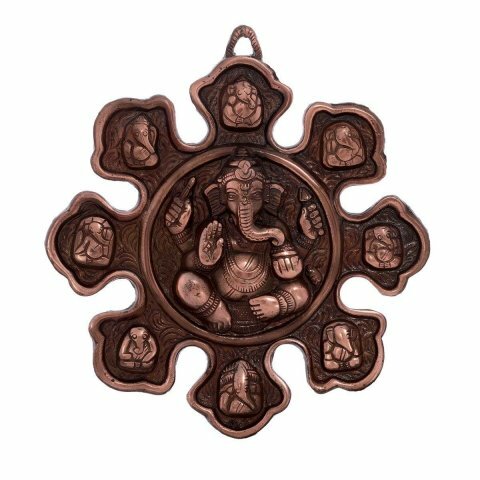 Gift your guests the E-CraftIndia Nine Variants of Lord Ganesha wall hanging to help them invite positive vibes into their home. This beautiful wall hanging is made of bronze coloured metal and measures 22.5 cm x 1.25 cm x 22.5 cm. Buy it for Rs.550 from amazon.in. 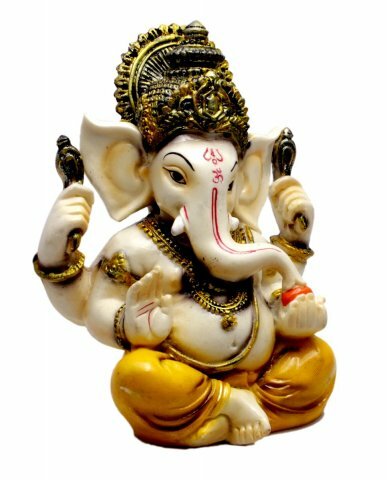 If the wall hanging we have suggested seems on the higher side, take a look at this sweet idol of Ganesha on the same site. Sculped by artisans out of resin powder, the multicolour idol is of size 5.6 Inches X 4.6 Inches. and weighs 360 Gms. Order it on amazon.in for Rs. 249. Mecca Madina is the most important pilgrimage site for the followers of Islam, and this beautiful clock with engravings of the two famous monuments will make any ardent follower very happy. 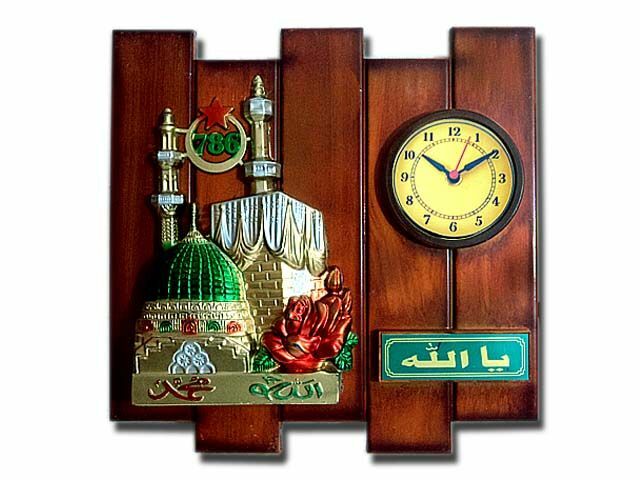 This artistic piece is made of wood and plastic and the size of the clock is 30*30*3 cm. You can order it on batranovelties.com where it costs Rs.130 per piece. The minimum order quantity is 12 pieces. 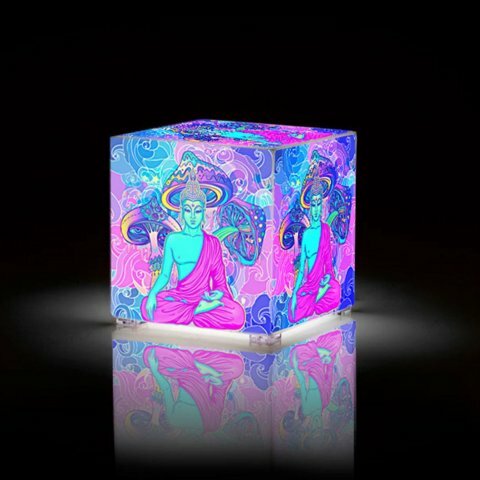 The square Buddha lamp from Giftcart.com puts a stylish twist on a religious symbol. This uniquely designed lamp has a vibrantly coloured psychedelic print design which becomes visible when the lamp is lit. The printing has been done on a scratch proof laminated surface which makes it extremely durable. Buy it for Rs.999 on the Giftcart site. This eye-catching table lamp measures 4 x 4 x 4 inch, and comes fitted with 1 LED bulb. If you find the earlier suggestion too expensive then surely this will be a good option. 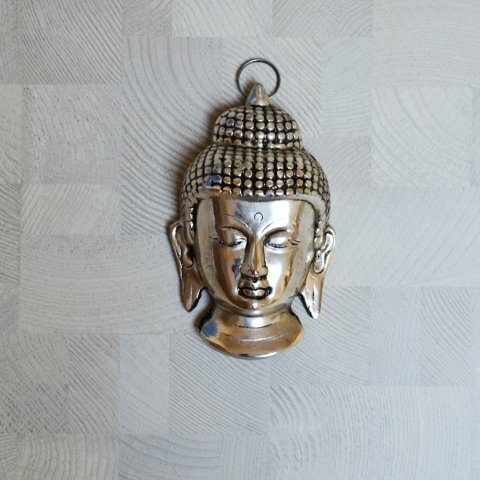 This elegant metal Buddha idol will add a calming vibe to any place it is displayed. The idol can be used as a table top decoration and also as a wall hanging. Made of brass, the idol looks premium and is durable. It measures 3"x1"x5" approx. You can buy it on boontoon.com for Rs. 305 per piece. Fill your guest's house with the divine sound of a wind bell. 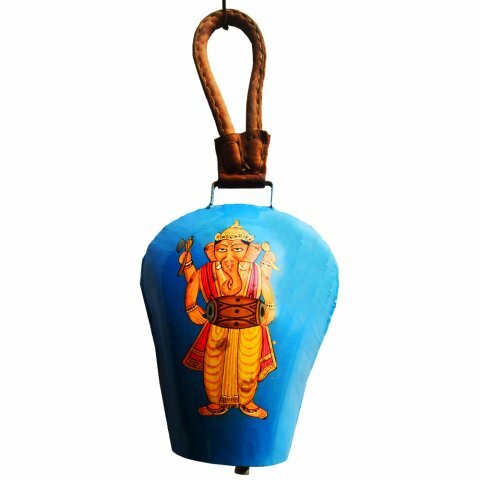 Crafted with care, this bell made of metal comes with a colourful exterior with two Ganeshas separate represented on two sides. Measuring around 5.5 X 11.5 this is a offbeat gift idea that will make your gift a memorable one for your guests. Priced at Rs. 600, you can order it on boontoon.com. 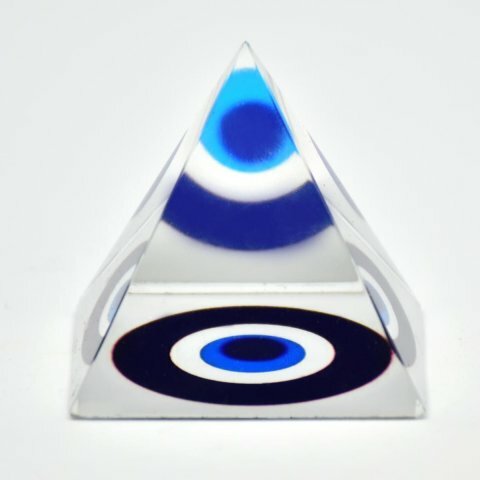 Introduce your guests to the powers of Feng Shui by gifting the Feng Shui Evil Eye Crystal Pyramid from Giftcart.com. 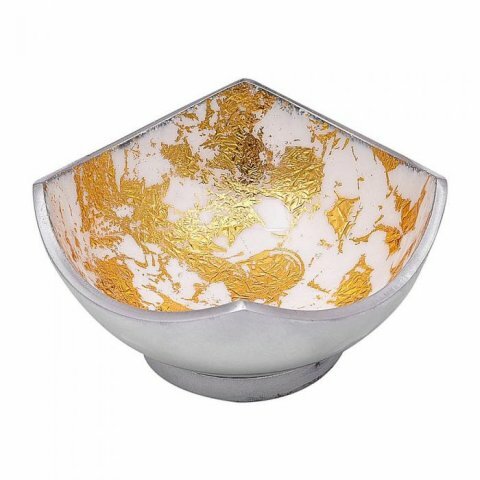 Made of Glass crystal and measuring 1.6 cm this artistic piece of home accessory keeps the home safe and protected. In feng shui, the pyramid is said to usher in harmony and prosperity and keep away, while the evil eye is known to protect from harm. Buy it for Rs.549 on the site. If you have decide on handcrafted items for you return gifts then take a look at the list that we have put together for your convenience. Made of wood, this cute salt-pepper set will be a lovely addition to your guests' home. 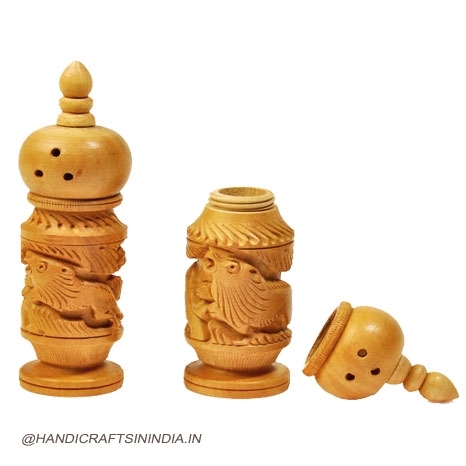 Featuring a charming carving of a lion, the set weighs 100gms and has a height of 4" and a diameter of 1.5 inches. This exclusive kitchenware item can be ordered for Rs. 360 on handicraftsinindia.in. Delivery is free when the order value is above Rs. 500. Measuring 17.50cm X 12.50cm X 6.25cm, this oxidised silver box is a fantastic addition to any house. The box can be put to use in many ways, from storing dry fruit to storing jewellery. 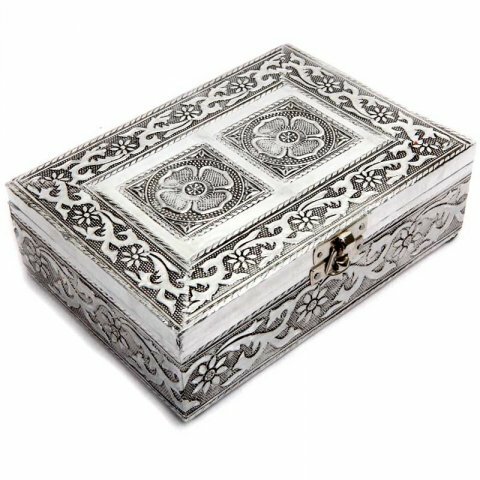 Engraved beautifully by skilled artisans, the box is made of wood with a white metal sheet covering. The traditional designs on it make it a sophisticated accessory to any room. Buy it for Rs.199 on craftwala.in. The site has a number of sizes in such boxes so do explore to find the right one. 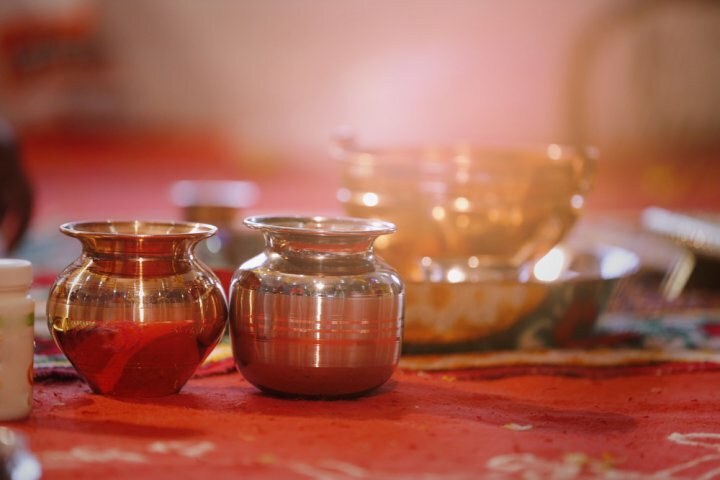 A Dibby is a small wooden container usually used for keeping vermillion powder or Kumkum. 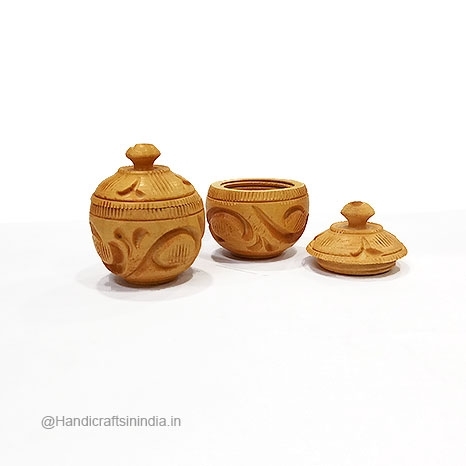 This small wooden Dibby from Handicraftsinindia has beautiful carvings on the outside and costs Rs.60 a piece. These are perfect if you are looking for pretty and inexpensive return gifts. A simple gift like a diary and pen gets new life in this beautifully decorated set. 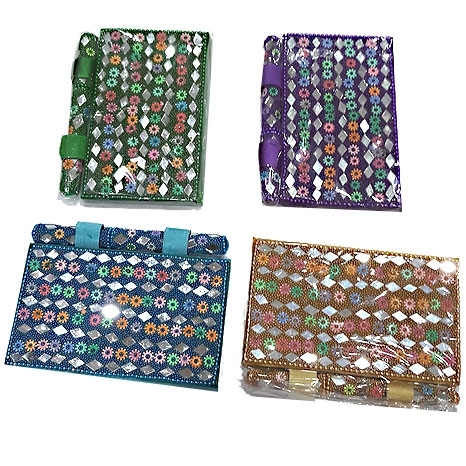 Decorated with beads, mirror and lacquer, this diary is not only a useful daily item but will also add to the beauty of any desk on which it’s placed. 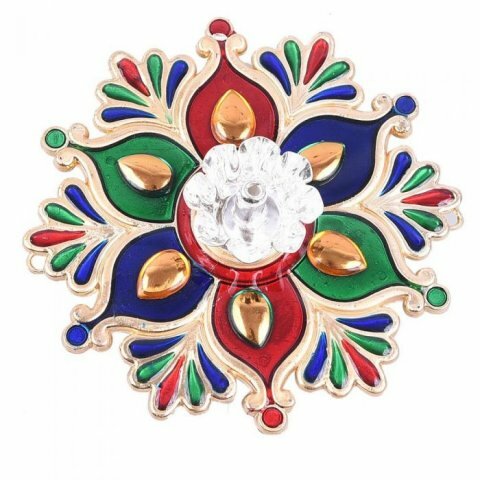 Buy it for Rs.150 at handicraftsinindia.in. The size of the notebook is 6 inches height and 4 inches width. 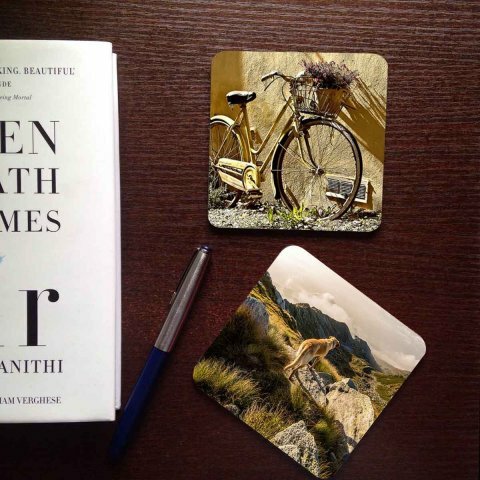 One can never have enough coasters, and when you have coasters as charming as these elegant handcreafted ones that feature prints that are inspired from the traditional Sanjhi art of Mathura. Made from seasoned wood, these coasters measure 3.25in X 3.25in X 0.25in. 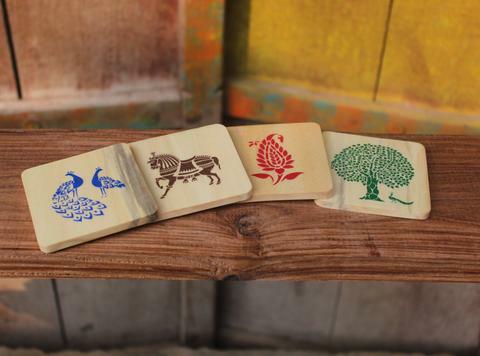 This set of four coasters have been created by rural artists of UP and the set costs Rs.275 on ivei.in. 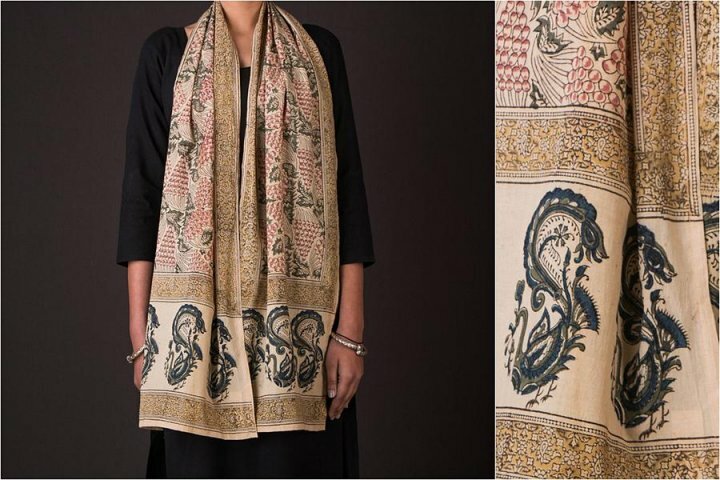 An original kalamkari block printed dupatta is one gift that your female guests will greatly appreciate. This beautiful cotton block printed dupatta from Itokri.com can be worn as a stole as well. Buy it for Rs.320 on the site. The stole has a length of 72 inches, and a width of 13 inches, and weighs 60 gms. As we have said before, return gifts need not be big or extravagant. 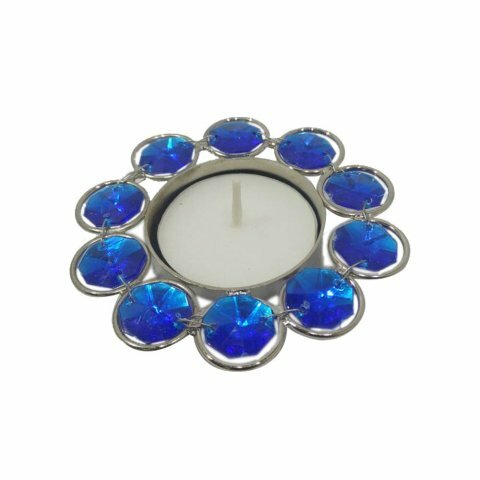 There are plenty of small inexpensive aesthetically pleasing items which make great return gifts. We have curated a special list of a few such items. Bangles are one of the most difficult jewellery to store. 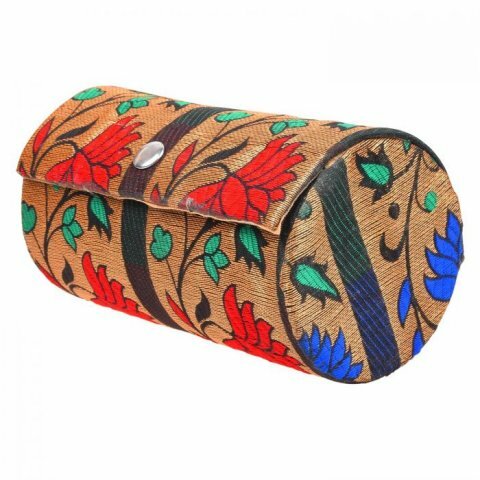 But with this fabric covered bangle box from theoneshop.in storing away your bangles neatly will be easier than ever. 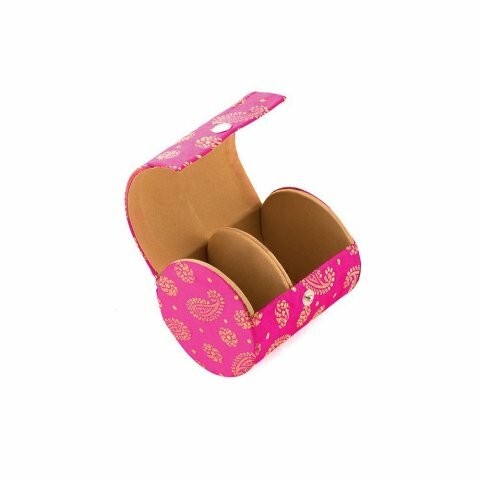 The box has a beautiful design motif on the outside and costs Rs.99. 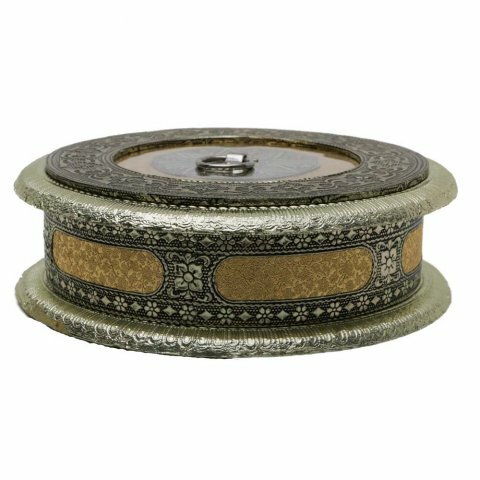 For a slightly bigger and more colourful option check out this bangle box on nandigifts.com. The box measures 8.5cm in diameter and 15cmwidth and weighs135gm. Made of fabric and sturdy board, this box costs Rs. 140 on the site. Prices reduce on bulk orders, reaching as low as Rs. 90 on purchase of 100 boxes. 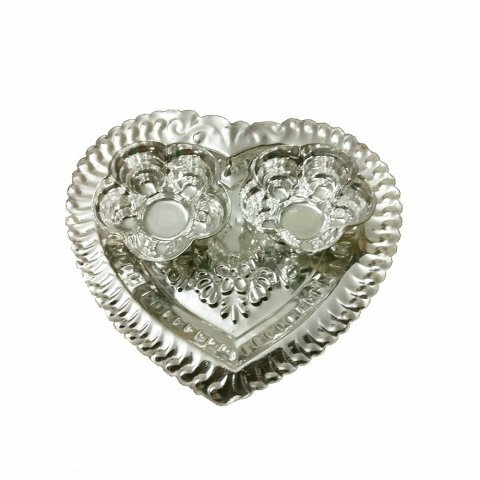 If you want to gift your guests with a small gift which creates a big impact then go for the Crystal Flower Tea lights from Theoneshop.in. These beautiful lights are bejewelled with crystals which make them shine and sparkle in the dark. A set of two candles cost Rs.79. When you are having a social gathering in your home your guests will comprise of people of various ages. In our culture, we always aim to respect our elders. This must be kept in mind while choosing return gifts as well. When there are elderly guests present, it becomes essential to pick gifts which convey your respect for them. Things like religious idols, puja accessories, traditional handicrafts etc. are things which are appreciated by elders. Pick such gifts to make your elders happy and receive their blessings. For the young crowd, you can go for more unconventional gifts that still adhere to the spirit of your celebrations. It's very easy to be carried away when purchasing gifts. So you need to be careful when you choose return gifts. Fix a budget and the number of items you are going to buy. Enquire as to the availability of any wholesale stores or wholesale online stores which will bring down your budget. Also, if possible get multiple gifts aiming at different age groups. This will be a hit among the guests and they will appreciate the pain you have gone through to choose the return gift. Even if the gifts do not go well with a small portion of the guests, don't worry!! You cannot satisfy everyone at the same time.